Virtual Private Hosting is the most optimum choice for businesses that have outgrown their shared hosting environment but are yet to mature for a full fledged dedicated server hosting solution. Development in the field of virtualization technology has boosted use of VPS hosting with more and more enterprises choosing the same as an entry level hosting for their maiden web projects. It has been a logical upgrade for websites that are experiencing resource crunch in shared hosting environment. Virtual private server is a virtualized server built by compartmentalizing a large physical server into multiple VMs so that every virtual private server is able to function in an isolated environment with its own operating system. Virtual private server is backed by powerful hardware with access to independent server resources including RAM, disk storage, and CPU. Users of VPS hosting are accorded with complete root access to server thus allowing them to enjoy benefits of dedicated server in a shared environment. Shared hosting is an ideal choice for beginners. However many web hosting providers have resorted to overselling tactics to make quick profits. It has lead to cramming of websites into a single physical server impacting performance and uptime. In shared hosting environment, a user has no control on activities of other tenants that can seriously harm resource availability and reputation of website. Business websites cannot afford to be exposed to such consequences and hence need to think of a better and more secure alternative such as VPS hosting. VPS hosting allows all benefits of a multi tenant environment minus the demerits. Virtual Private Server Provides level of control, resource availability, and security that can only be compared with a dedicated server. Users can enjoy affordability due to sharing of a physical sever by several users. In a dynamic market environment driven by millennial generation, business websites must be prepared to handle demand fluctuations with greater ease. Gone are the days when websites used to experience a steady rise in traffic. Modern marketing strategies, escalating competition, and ever changing consumer preferences are changing paradigms of website traffic. This calls for greater scalability of resources. VPS hosting allows users to look forward to seamless website performance with availability of abundant and scalable resources to handle peak traffic. These resources are provisioned on demand and can be scaled up or scaled down dynamically without affecting website performance. Users can scale up resources in response to a surge in traffic and reduce their resource utilization after the traffic spike is over. With a single click, you can you can add RAM to manage traffic growth. Such resource addition can take excruciatingly longer time in a dedicated environment resulting in website downtime. Thanks to the virtualization technology, small and medium enterprises can now enjoy benefits of high end hosting environment of VPS that is at par with dedicated hosting. Many established hosting service providers have been able to offer VPS hosting almost at the price of shared hosting. VPS hosting offers freedom of choosing operating system to users. You can select Windows or Linux operating system to match your needs. In shared hosting, users have no choice but to accept whatever operating system is provided by hosts. If your needs warrant use of Windows operating system such as ASP or ASP.net capabilities, then VPS hosting provides choice to install Windows operating system to run your virtual private server. The freedom is also extended to let users choose individual configuration of server, install custom software, or add firewall protection to prevent unauthorized access. VPS hosting also provides convenience accessing user friendly control panel to monitor and control server operations from a robust platform. Web hosting providers ensure that users of VPS hosting are provided with security measures including auto recovery, data backup, SSH, anti malware protection, and data security. Majority of VPS users belong to categories of small and medium enterprises, ecommerce stores, forums, high traffic blog-sites, web development solution providers, resellers, and so forth. VPS hosting can be great resource for delivering special emails or mass mailers. It can bypass POP and IMAP connections that restrict emails. Dispatching newsletters to large number of recipients, CRM email campaigns, and email account verification tasks can be performed without hassles in a VPS environment. Installation of custom software is vital to perform many business related activities. You can use on click install facilities for deploying such software to streamline business processes and improve web presence of your business. Most of the users prefer to go for managed VPS hosting. It offers them freedom from routine server management and maintenance tasks. It also improves their focus on business development activities. 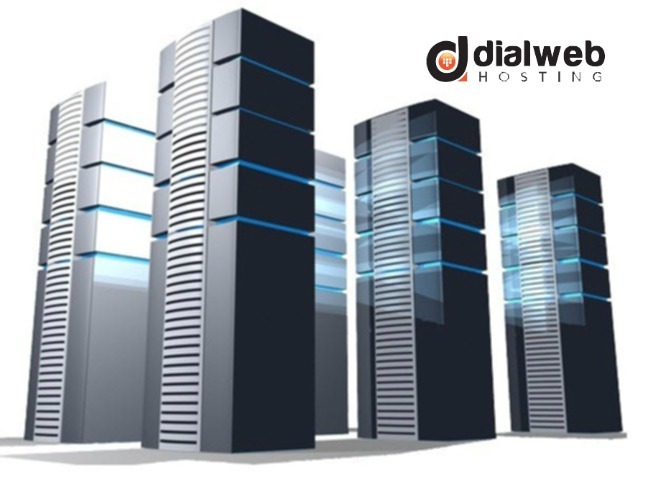 These hosting services are also able to provide seamless technical support and continuous performance monitoring. In view of continuous development activities and growing number of VPS users as well as providers, the price of VPS hosting has been witnessing a steady decline and is expected to continue further. It is poised to become the most preferred hosting option for startups as well as SMEs.